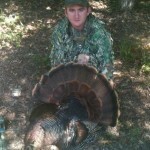 Justin Watson with his 2012 spring gobbler. 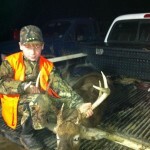 Konner Bullock (son of Lee Bullock) took this small buck late in the 2011/2012 gun season. 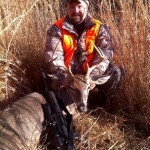 Ronnie Bullock’s 2012 Buck. 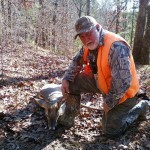 Dad hadn’t taken a deer in a long time and decided to take this young buck when he surprised him in a pine thicket. 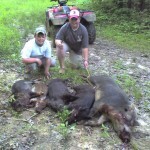 Late in 2012 season, some stands were placed in key areas specifically to harvest hogs. 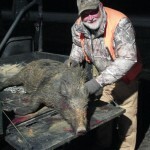 Ronnie Bullock took this large boar in the first sitting. One of the old school stands recently rebuilt overlooking some crossings on Hatchie Channel. 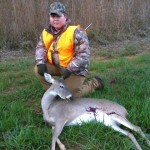 Konner Bullock’s first ever bow kill. 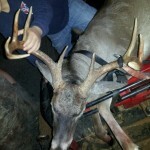 10 point with deformed left side. 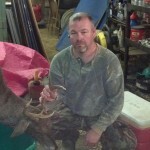 Weighed 165lbs. Awesome experience to share with your child! 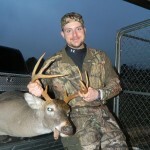 Luke Grisham’s 2012 buck taken in the last gun season. 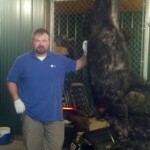 Lee Bullock’s largest boar to date. 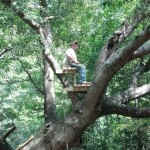 Taken in spring of 2012. Weighed in at 225lbs with 3.5″ curls on top and 2″ cutters on the bottom. 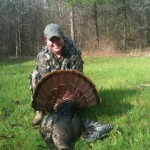 Konner Bullock’s 2011 spring gobbler. 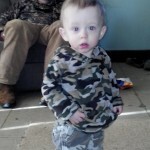 Konner Bullock’s (son of Lee Bullock) 2012 spring gobbler. 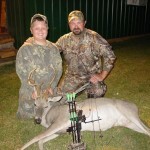 Ethan Bullock’s (son of Lee Bullock) 2011 deer. 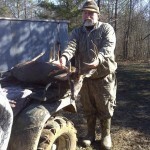 Might as well have been a Boone & Crockett as far as he was concerned! 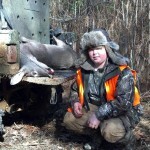 Love seeing the kids hunt! The infamous Hatchie Channel borders the club to the west. When water is up, only way to cross is via the cable carriage. 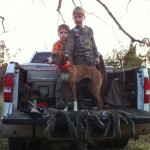 Ethan Bullock (son of Lee Bullock) is carrying across two of Gerald’s prize beagles. 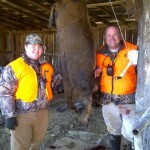 Konner & Jalon Bullock tag-teamed this 260lb sow. 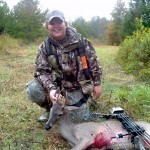 One of Konner Bullock’s 2011 bow kills. 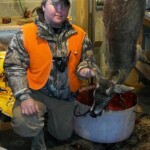 To my knowledge, the heaviest deer ever taken on the club. 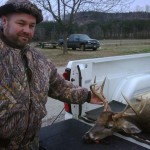 Massive buck taken by Benny Owens in 2010. Weighed in at 205lbs. 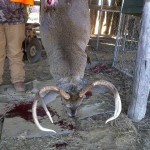 Massive buck taken by Benny Owens in 2010. Weighed in at 205lbs. 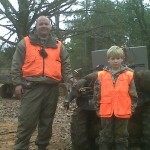 Jalon & Daniel Bullock (son of John) with an eight point Jalon harvested. 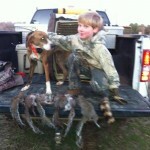 Daniel Bullock and Bela after a successful squirrel hunt! 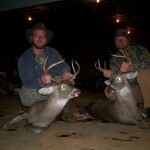 Will Coleman and John Bullock with a couple of Dry Creek bucks. 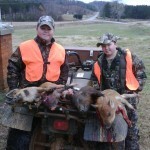 Daniel Bullock and Ty Ferguson with ‘Bela’ after a successful squirrel hunt. 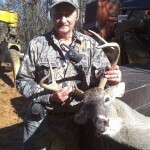 Daniel Bullock with a buck taken by his dad, John Bullock.